Dietary supplements comprise ingredients such as proteins, minerals, vitamins and enzymes that assure the body to get enough vital nutrients that are required for functioning and help in reducing the risk of diseases. Population of developed regions such as North-America and Europe are more conscious about their physical appearance and health. Maintaining a healthy lifestyle and raising awareness among consumers for healthier food products also driving the growth of Powder Dietary Supplements Market. Additionally, desires to achieve attractive personality and wide range of sports dietary supplements encourage the consumers to opt for powder dietary supplements market. Rising e-commerce trends made the retailers to focus their sales on online platforms by listing of various dietary products and better online education. Thus, growth in e-commerce business is one of the key factors driving the growth of global dietary supplements market. Dietary supplements market witnessed major growth with nearly USD 14.0 billon spending over dietary supplements to treat various conditions such as arthritis, diabetes, obesity and immune system problems. Initiative by emerging economies such as India and China for promoting health and wellness programs, leading to higher sales of powder dietary supplements in these countries. Calcium-based dietary supplements are the most in demand supplements driven by the women population, arthritis cases, osteoarthritis and other bone and joint related diseases. Aging population and rising awareness towards preventive healthcare are the major factors driving the growth of global powder dietary supplements market. North-America and Asia-Pacific region accounts for more than 70.0% market share of global dietary supplements market. Rising purchasing power and awareness for maintaining healthy lifestyle are the key factors driving the demand for dietary supplement market in Asia-Pacific. North America has witnessed positive growth owing to rising sales of probiotic supplements, which is increasingly determined as beneficial supplement for old age people not only for digestion but also for immunity and other conditions, allowing broader usage scenarios for prevention of diseases. Fast growth in sales of powder dietary supplements has been witnessed between year 2010-2015. On the other hand, distribution channels play an important role behind the sales of dietary supplement market. Rising e-commerce business and influence of beauty and health stores has opened vast avenues for the growth opportunity of dietary supplements market. Amazon, the e-commerce company has opened their cashier-less grocery stores in USA with over 3,000 leased properties to open up additional stores across the United States. However, side-effects of several supplements and violation of regulations regarding the label standards as well as product quality are expected to hinder the growth of global powder dietary supplement market. In addition, some nutrients have negative impact if taken in high doses. For instance, vitamin A causes brain swelling and liver failure in high doses, zinc decreasing the levels of copper in the body and vitamin E and selenium supplements may increase risk of prostate cancer. Improper regulation of dietary supplements due to the misconduct in studies to determine safety and efficacy as required for prescription drugs is rising the health related incidences in various countries. Yet even physicians are not aware of the lack of information on the safety of dietary supplements. Global consumer health product market accounted over USD 200.0 billion in 2016; in which dietary supplements market generated revenue of USD 89.5 billion. Global powder dietary supplements market is expected to expand at a compound annual growth rate of 2.4% over the forecast period owing to swelled demand for multifunctional dietary products. Global powder dietary supplements market accounts for 57.0% revenue share of total dietary supplement market, accounted for USD 51.2 billion in 2016 and further the market is expected to showcase significant growth and likely to surpass USD 60.0 billion by 2024. Sports dietary supplements market accounted for USD 8.0 billion in 2016 in which powder sports supplement products generated 60.0% of revenue share in overall market. 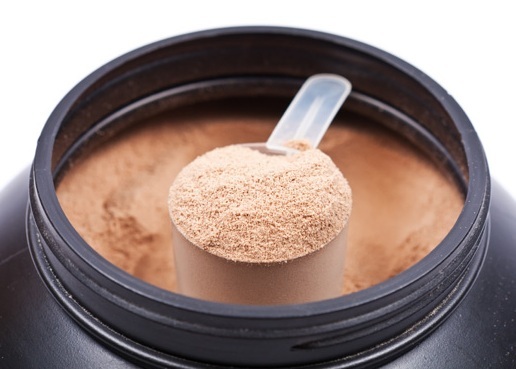 Further, the powder dietary supplements market is expected to grow significantly on the back of rising trend for body fitness and energy supplements in sports. Weight management powder supplements are also expected to witness significant growth owing to increasing cases of obesity and desires for lean body shape. North America region dominated the global powder dietary supplements market with more than 40.0% market share, closely followed by Asia-Pacific region with more than 30.0% share in 2016. In 2016, North America accounted more than USD 20.0 billion sales of dietary supplement products. China and Korea in Asia-Pacific accounts for the largest sales of powder dietary supplements products in the region.